Bernie Sanders Speaking at Marist College. Photo by Lorie Kellogg. BROOKLYN, N.Y. - April 14, 2016 - PRLog -- "I have never publicly endorsed a candidate in my 40 plus years in media. Bernie Sanders is the first Presidential candidate since Robert F. Kennedy that I agree with 100%," announced Joe Bevilacqua (aka Joe Bev). Bevilacqua will preempt his weekly one-hour radio show The Joe Bev Experience, heard on public radio stations nationwide, for a Bernie Sanders special: "I Shook Bernie's Hand." The special will premiere on Bernie Sanders hometown radio station, 920 WON - The Apple in Brooklyn, this Friday, 8:00 pm EST. The hour begins with Bevilacqua detailing his attempts since September 9, 2015, to interview Bernie Sanders, culminating in the veteran journalist actor attending the Tuesday, April 12, 2016, rally at Marist College in Poughkeepsie, NY. Lorie Kellogg, who photographed Sanders at the event and has also endorsed Sanders, will provide her own commentary. In addition, there will be audio clips from celebrity endorsements, such as Susan Sarandon, Tim Robbins, Spike Lee, Harry Belafonte, and Danny Glover. 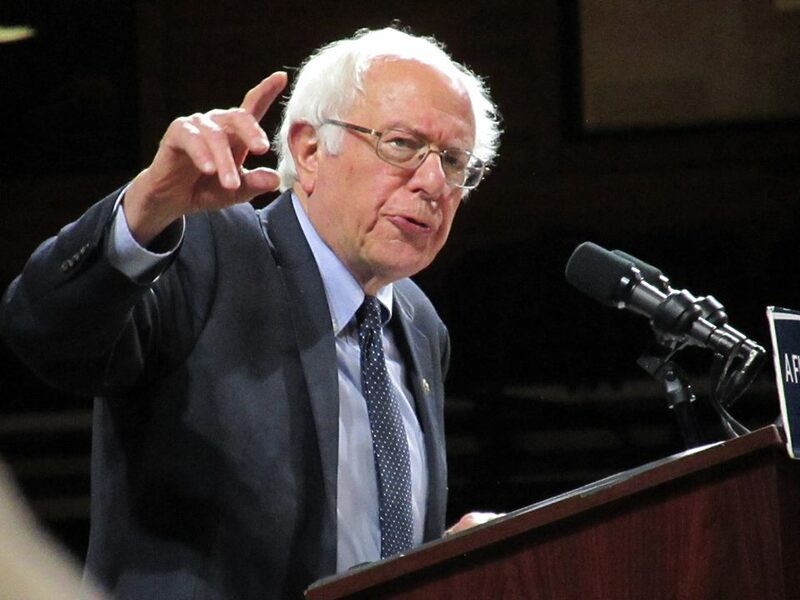 The largest portion of the hour will be devoted the words of Bernie Sanders himself, as recorded live by Bevilacqua, at the Marist event. It can be heard online at http://www.920won.caster.fm/. Bevilacqua concluded, "The Democratic establishment has abandoned we in the 99%. Bernie is a great chance for us to restore our country's greatness and be fair to all of our citizens, not just the top 1%." He has a number of successful radio shows each week, including The Comedy-O-Rama Hour, The Jazz-O-Rama Hour, The Joe Bev Experience, Cartoon Carnival, and The Joe Bev Audio Theater. Podcast everywhere (Tunein, iTunes, etc.). For more go to, http://www.waterlogg.com. "Joe Bev" can also be seen acting in such TV shows as HBO's Boardwalk Empire (as David Sarnoff), The History Channels' The Wars (as Field Marshall Bernard Montgomery) Investigation Discovery's Redrum (as Terry King), and American Heroes Channel's Blood Feuds (as Randall McCoy). He has been seen in such movies as Hits directed by David Cross, The Fly Room as (Uncle Dwight) and will be seen in the upcoming film Solar Eclipse: Depth of Darkness (as Abraham Lincoln). WGTD, Wisconsin Public Radio, Sound Stages Radio, WHRO-Norfolk, VA, The 1920s Radio Network, Toon Radio, Pawling Public Radio, Radio New Zealand, Prairie Public, Moab Public Radio, KAZU, WNMU-FM, KREV, WMMT, KAWC, Red River Radio Network, Marfa Public Radio, KCUR, WEZU, WSNC, Troy Public Radio, WCMU Public Radio, WRPI, KUAT, KUHF, KVMR, WRFA, KSVR Studios: Skagit Valley Radio, WHRV, KVMR, WUCF, WFIU, KRPS, KUT, WLRN, WTIP, WNCU, KEOS, KRUA, New Hampshire Public Radio, KGOU, Delta College Public Radio, WPSU, Northeast Indiana Public Radio, KMXT, KUFM - Montana Public Radio, WEFT, Northern Community Radio - KAXE & KBXE, WRVO, WYSO, WMPG, WGUC, KRPS, WEKU, Oregon Public Broadcasting, WXXI, Yellowstone Public Radio, Robin Hood Radio/ WHDD AM 1020/FM 91.9-WLHV FM 88.1 /WGHQ AM 920, WHRV, WVAS, WDCB, WMUK, KCCK, WAMC, Here and Now, WGBH, KWIT, KDUR, WGUC, WJFF, WILL, WNPR, WCAI/WNAN, KTNA, WKSU, WKMS, AMU, KSTX (KPAC), KERA, WFCR, WUAL, KZYX, KCPW, Stan, Delmarva Public Radio, KRCB, WKNO, KSJD, KFSR, KUHF, KQED, Spokane Public Radio, WUIS, WEKU, WEPS, WNCU, WPSU, KUOW, KUHB, KTXK, Raven Radio, WQUB, WCOM, WMUB, KGLT, KDNK, KMXT, KSFR, WVPE, South Dakota Public Broadcasting - Radio, KSUT, KUVO, KDLG, KVNF, KUHB, Yellowstone Public Radio, WERU, KSRQ, WKSU, KRCB, GAUF, WUSM, WDNA, KUGS, WGCU, KFAI, WUTS, East Village Radio, KAOS, KBBI.